High arches (pes cavus) are the excessive, fixed flexion of the arch of the foot. While weight-bearing stress is typically distributed across the entire foot in people with normal arches, those with high arches carry their weight mainly on the heels and balls of the feet. This places undue stress on the toes and ankles, leading to pain and instability. Since a high-arched foot lacks the flexibility to absorb shock, it will tend to roll outward (supinate) as the foot rolls through a step. This can increase the risk of an ankle sprain or fracture. High arches can develop at any age and occur in one or both feet. High-arched feet are most often an inherited structural deformity that is generally unrelated to any other health concern. In some cases, pes cavus is secondary to neurologic conditions such as Charcot-Marie-Tooth disease (CMT) in which neuromuscular contractions draw the ball of the foot closer to the heel. CMT is believed to account for 50 percent of neurologically induced pes cavus. Other causes include post-stroke paralysis, spina bifida, cerebral palsy, clubfoot, poliomyelitis, and muscular dystrophy. While all of these cases can result in significant pain and impairment, those with a neurologic cause tend to progress faster and require more in the way of medical attention. If symptoms persist, the condition may give rise to ankle arthritis, stress fractures, shin splints, or Achilles tendonitis. Extra attention should be paid to people with diabetes in whom excessive foot pressure may promote hard-to-treat ulcers. You can often self-diagnose high arches by simply wetting your foot and stepping on a piece of paper. A high-arched foot will leave a very narrow point between the heel and ball of the foot. Under normal circumstances, the foot would flatten, leaving a wider impression alongside the arch. If a high arch causes pain or is causing you to trip or stumble, you will want to see a specialist known as a podiatrist who can evaluate your foot structure and check for any abnormalities in your gait. Characteristic features such as calluses, hammertoes, and claw toes would be noted, and your shoe may be examined to check for abnormal wear on the outer heel or outer edge of the sole. In addition to a physical exam, the doctor will want information about your current health, medical history, and family history to help assess whether the cause is structural or neurologic. X-rays may be ordered to support the diagnosis. If needed, you may be referred to a neurologist to pinpoint the cause and nature of the disorder. The treatment of high arches can vary by the cause and severity of the condition. Efforts would be made to treat the disorder conservatively whenever possible. Custom orthotic devices are inserted into a shoe to correct the foot position and provide arch support. Doing so can improve stability and add much-needed cushioning to your foot. Ankle braces are used to stabilize wobbly ankles and prevent excessive supination while standing or walking. Physical therapy may be recommended to teach you stretching and strengthening techniques to improve your muscle tone and tendon flexibility. Custom orthotic shoes can also be ordered if adequate footwear cannot be found elsewhere. While expensive, they are often a good solution for people wanting to avoid or delay surgery. If conservative therapy fails to provide relief, surgery may be explored (generally if the pain is extreme and affecting your ability to move about). No single procedure is appropriate for all situations, and multiple procedures may be needed to achieve the desired result. Plantar fascia release is a procedure in which the contracted tendon between the heel and ball of the foot is partially cut to release the tension. It is typically performed as an open operation and requires a plaster cast to help the foot heal the right position. Recovery takes around four to six weeks. Tendon transfer surgery is one in which a tendon is shifted from its original position to a new one to improve mobility. It is not a transplant technique but rather one in which the tendon is moved to release some of the tension. It is also performed as open surgery, requiring casting and up to eight weeks of recovery time (including four weeks of non-weight-bearing bed rest). Osteotomy is an open surgical procedure in which a bone is cut to shorten or lengthen it or change its alignment. When used to correct a high arch, screws and wires will be used to hold the realigned bones in place. For the purpose of high arch treatment, it is most often used to reposition the heel bone (calcaneus). Casting is required. The recovery time is around six weeks. Arthrodesis is an open surgical technique in which adjacent bones are moved and fused together to increase stability. Arthrodesis is typically used when there is either severe rigidity in the arch or rapid deterioration of the arch structure. Depending on the location, the recovery time with casting can take anywhere from four to nine weeks. As with any surgery, there are risks, including infection, nerve damage, postoperative bleeding, the formation of clots, and a reaction to the general anesthesia. Be sure to speak with your surgeon so that you fully understand the benefits and risks of the procedure (as well as the recovery time and pain control option). In cases where an underlying neurologic problem exists, surgery may be needed in the future due to the progression of the disease. The primary challenge of living with high arches is finding the right shoe to support your foot and distribute your body weight evenly. Oftentimes, the options found in regular shoe stores are far too shallow and promote rather than correct the outward sway of your ankles. 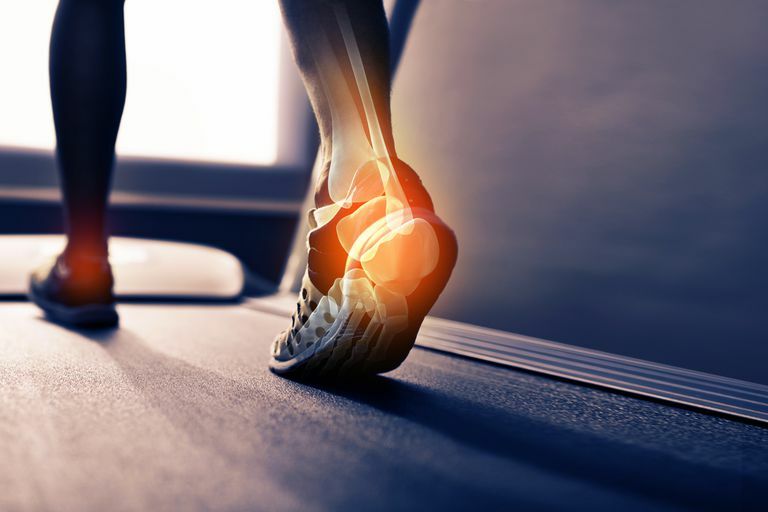 Moreover, because high-arch feet don't absorb shock well, hard-soled shoes may not only increase pain but transfer stress to the knees and hips. To overcome these problems, invest in a pair of shoes that are properly fitted to your foot. If custom-made shoes are not in your budget, try visiting a specialty running shoe store, which is more likely to conduct a comprehensive foot analysis. By finding a pair of shoes that provide optimal support and comfort, you will better understand what to look for in other shoes. High-topped shoes or ankle boots can offer extra ankle support. If a shoe doesn't offer enough support, you can usually find three-dimensional arch inserts at larger drugstores. There are also retailers like FootBalance that make reasonably priced custom orthotics you can switch between shoes. To prevent toe clenching, purchase a set of inexpensive neoprene or foam toe spacers which you can wear underneath your socks and shoes. Foot pain is something you never should ignore if you have high arches. By seeing a podiatrist early, you can avoid a worsening of symptoms and even correct structural abnormalities in your gait before other joints are affected. Maynou, C.; Szymanski, C.; and Thiounn, A. The adult cavus foot. EFORT Open Rev. 2017; 2(5): 221-29. DOI: 10.1302/2058-5241.2.160077. McGlamry, E. and Southerland, J. (2013) McGlamry's comprehensive textbook of foot and ankle surgery. Philadelphia, Pennsylvania: Wolters Kluwer/Lippincott Williams & Wilkins Health.